Located on 20,000 pristine acres in the heart of South Carolina’s Lowcountry and surrounded by the May, Cooper and New Rivers, Montage Palmetto Bluff is a natural haven for wellness and activity. A true destination for active travelers and wellness-enthusiasts, Montage Palmetto Bluff boasts miles of trails lined with lush greenery and ancient oaks to walk, run and bike through; activities such as kayaking, canoeing or paddle boarding on pristine waterways through avian sanctuaries and amongst vast wildlife; and amenities including the May River Golf Club and Palmetto Bluff Shooting Club. For more information or to book this package, please call Montage Palmetto Bluff at (866) 706-6565 or visit www.montagehotels.com/palmettobluff. 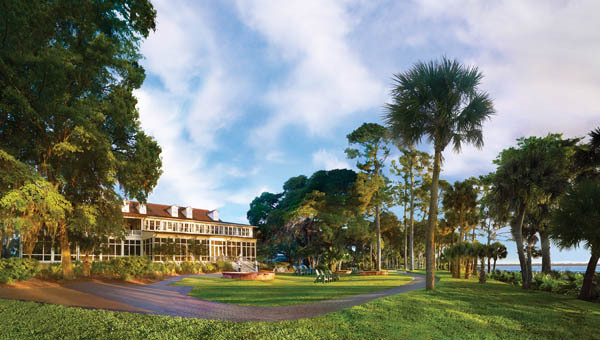 Montage Palmetto Bluff is quickly taking over as the new travel destination in the South. Just a short 35-minute drive from Savannah, GA and Hilton Head, SC and only a 90-minute drive from Charleston, SC, the Montage Palmetto Bluff will make you forget that you ever left the North. Whether flying solo, spending a romantic weekend with your better half or traveling with the whole family, the Palmetto Bluff caters to all. With endless activities available, you’ll quickly opt to extend your stay. Montage Palmetto Bluff is the centerpiece of Wilson Village, located within the 20,000 acres at Palmetto Bluff, in the historic community of Bluffton, South Carolina. 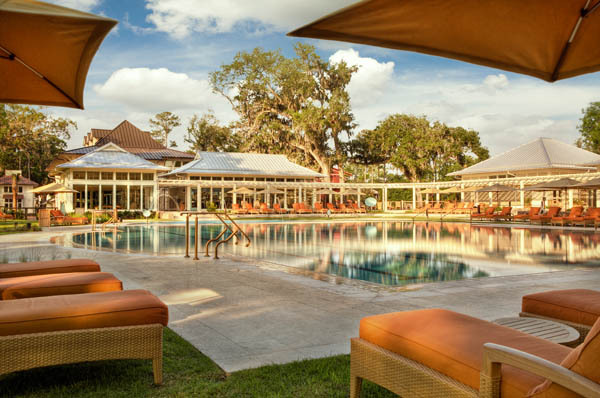 As the first East Coast location of Montage Hotels & Resorts, the resort occupies an exceptional Lowcountry setting surrounded by the May, Cooper and New Rivers, exuding authentic southern hospitality rooted in tradition. The Montage not only offers hotel accommodations but offers properties for sale. 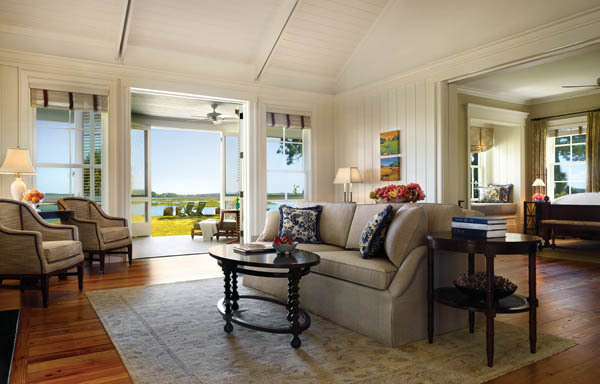 Upon entering the 20,000-acre Palmetto Bluff property guests will instantly feel at ease. Driving down the road at snail’s pace to take in the surroundings, guests will arrive at the beautiful hotel. While driving up to the veranda to await valet it is quickly evident with all the bikes and golf carts neatly arranged, that once your car is parked there will be no need for it again until you begrudgingly have to check out. Walking and biking seem to be the preferred form of travel throughout the resort, with a signature Southern cocktail in hand, of course. In 2016, Montage Palmetto Bluff added 152 new guest accommodations in addition to the 48 existing guest cottages to the already existing property. Additionally, they added 35 Montage branded residences which are selling fast. The Inn is a replica of owner R.T. Wilson Jr.’s dwelling, of which the ruins can be seen on property, having burned down in the early 1900s. Walking in, it is quickly evident that the South really is unique and beautiful, as there is no other place in the world that captures the same architectural designs. Before arriving to the room you can take a quick tour of the octagon shaped bar, Carolina room, patio, and even library, before entering a room fit for a king. As beautiful as the room is, with a gorgeous view overlooking the bridge and water ways, a couch and bathroom equipped with a claw foot tub with speakers, there’s too much to do to spend time in the room. With three pools, two gyms and a spa, where a celebrity hair stylist is available full time to give guests custom cuts, waking up early to start the day is a must. After a quick workout and spa, bicycle over to one of the on-site restaurants. Check out Buffalos for a comforting Southern Breakfast buffet on the patio. Enjoy a one of a kind meal at Jessamine, which serves up true Southern charm and chops. Jessamine –named after South Carolina’s state flower – is one of Montage Palmetto Bluff’s newest restaurants. Embracing the South’s iconic and warm hospitality, it offers all-day dining options including breakfast classics with views of the sunrise, bolder flavors and creative steakhouse twists for lunch, and dinner. Located next to a chapel, perfect for intimate weddings, is the Palmetto Bluff history center, which hosts its own archaeologist, due to the rich historic background of the land. Relax with fishing poles out by the lake, or spend some time kayaking, canoeing, and paddle boarding in the surrounding tributaries. 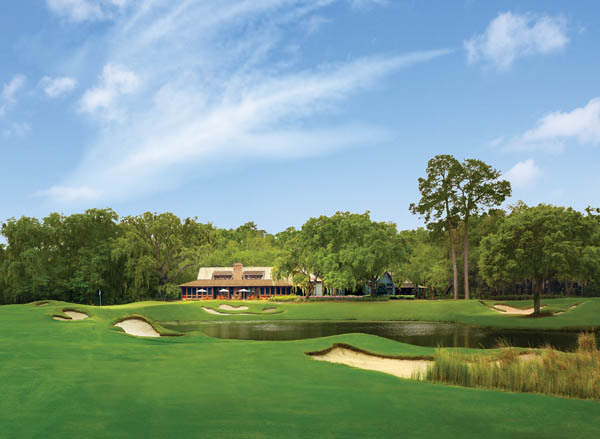 Golf enthusiasts can enjoy the May River Golf Club, where Jack Nicklaus has carefully woven a signature 18-hole golf course into the fabric of Palmetto Bluff. Winding past shady live oaks and palmettos along the high bluffs of the May River, golfers can enjoy the game in peace and serenity, interrupted only by the sights and sounds of nature. Guests can also spend time at the Longfield Stables’, a 173-acre farm boarding and training facility that stands out among the best in the country. The Stables include a covered arena, a FEI regulation outdoor dressage arena, a 5-acre turf event field available for schooling horses and special events, main barn, and receiving barn, featuring oversized stalls and a 15-mile trail system. Explore the Palmetto Bluff Shooting Club, ideal for novices and experts alike. The Club features 13 sporting clay stations winding through an expansive 40-acre forest, an elevated and covered five-stand station, plus a wobble deck field making for a total of 15 shooting sites. The course is designed to provide a fun and challenging recreational shooting environment for all. For those not comfortable with picking up a shotgun, they are welcome to replace it with a tennis racket at the expansive Wilson Lawn & Racquet Club, featuring eight Har-Tru tennis courts, two croquet lawns, two bocce courts, four courtside shelters and a 2,715-square-foot Pro Shop and pavilion. Clinics, drills, tournaments and lessons for tennis, croquet and bocce are available. Don’t miss out on the 5:00PM fire cooked Southern hors’ devourers. Located behind the hotel, a fire pit sits waiting to be ignited by one of the sous chefs serving up daily snack, from oysters, shrimp and even the Southern famous Frogmore stew. Take advantage of a beautiful sunset cruise on the famed Grace boat where guests will sip on champagne while getting a glimpse of the dolphins swimming in the ebbs and flows of the boats wake.